The show circuit has finished but Spring/Summer 2018’s phantasmagorical fashion happenings were worth their creators’ while, leaving audiences in dreamy stupors to await the new season. From 40-foot waterfalls to Cinecittà film sets and hand-embroidered gardens, we pay respect to the effervescent creativity of the industry. It may seem somewhat redundant to list Chanel in a story of best show venues: it’s always the Grand Palais and always extraordinary. Be it a launching rocket, an airport, or a supermarket, Karl Lagerfeld never ceases to present his collections in a truly astounding manner. For Spring/Summer 2018, however, Monsieur Lagerfeld upped the ante again; this time his team brought les Gorges du Verdon – one of Europe’s most beautiful river canyons, set deep in Provence – into Paris’ 8th arrondissement. A backdrop to his Space Age retrofuture-fuelled collection, complete with glossy PVC boots, boaters and accessories, as well as transparent plastic hoods, his 40-foot waterfall took more than two months to construct. 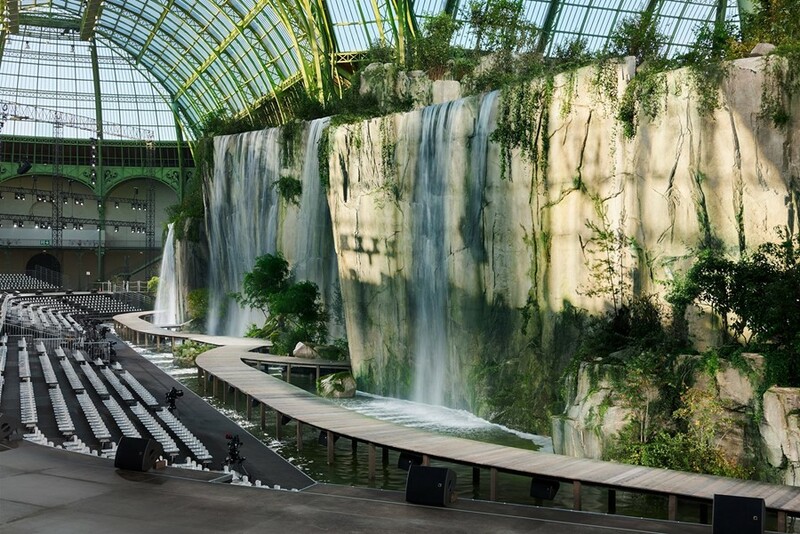 At once a magnificent space, representative of the fashion giant Chanel, this set had more humble, earthly connections: all the water used was recycled, while the real plants that dotted the cliffside were replanted soon after the show. “A map of signs to learn to poetically live the world, going beyond its contingency and standardising monotony,” read Alessandro Michele’s show notes at the Gucci S/S18 show. 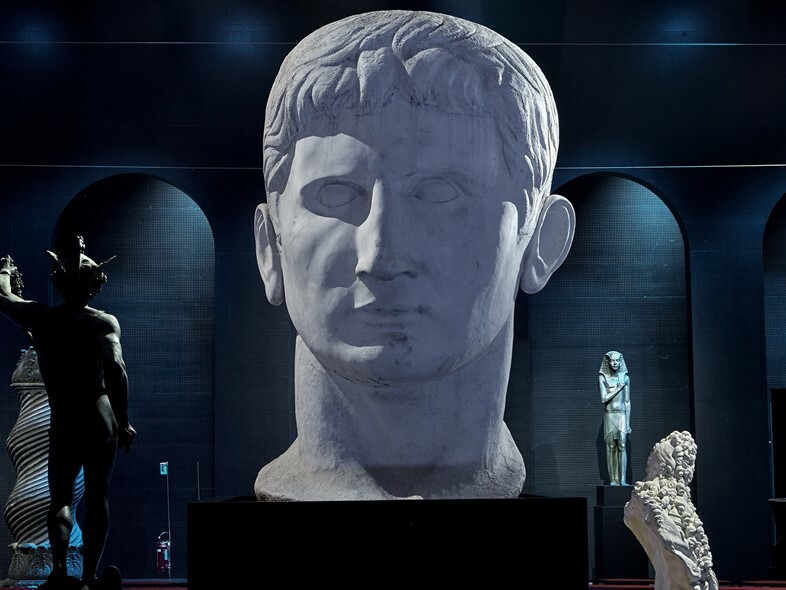 Set out at the Gucci headquarters in Milan, his venue was decked out in an ironic mish-mash of plaster-cast antique statues and columns spanning ancient Egypt, Aztec and Indian heritage, and each shipped from the Cinecittà film studios. A guide to this symphony of sculpture came by way of an actual ancient map (re-worked for the show) which referenced Sabine, the country house of Horace, an 18th-century book about whom had inspired the set-up. Just as Michele’s collection darted throughout fashion history, checking both Elton John and Animal Magnetism (a concept about perceived life forces conceived in the 1700s), the set pooled together references from all over, enhancing the amalgamated world that the creative director has shaped there. 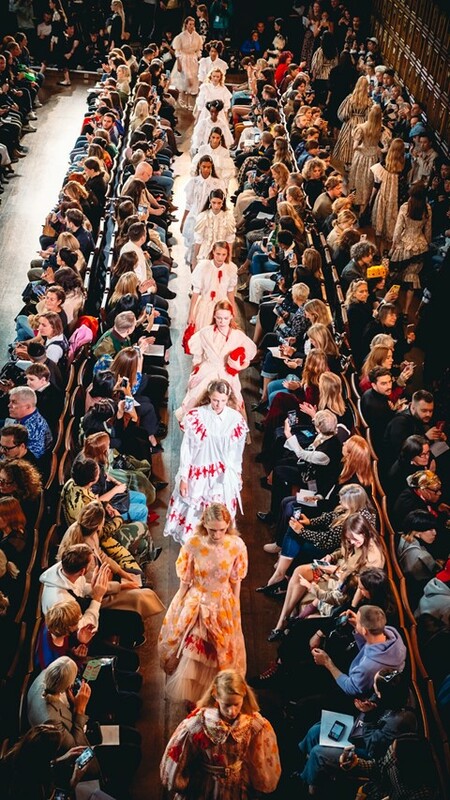 In the wood-panelled chambers of the historic 16th-century Middle Temple Hall, Simone Rocha’s parade of vintage doll-like girls, swathed in layers of tulle and silk, stalked the venue’s narrow aisles. It was a premonition of a young girl’s wedding, tinged with the teak polish-scented memories of a strict boarding school lined with portraits of prestigious ministers, busts and stained glass windows. Untouched by the Great Fire of London and both world wars, to sit in this preserved space is to be transported back centuries, making for an off-key setting for Rocha’s brand of punk-edged Victoriana. The grand, looming room served to shrink these befrilled girls down to miniature, while the little red paper dolls embroidered onto shirt collars and full skirts appeared as if to darken their ebullient femininity. For married couple Luke and Lucie Meier’s design debut at Jil Sander, their rather monastic homage to the minimalist German designer was set afoot Milan’s new Fiera di Milano complex designed by the late Zaha Hadid. The site was fittingly Calvinistic: gleaming white Brutalist concrete walls formed a tunnel, flanking the runway beneath an open roof, a startlingly pink sunset glowing behind the stark and simple palette of navy and white. The couple broke from the tradition of their predecessors, who tended to show collections at the company’s headquarters, and bid to set their agenda for the brand. A reverent swathe of shirting, tailoring and trademark minimalism, harked back to Ms Sander’s own designs, but the starkly modern setting delineated a fresh and forward-thinking new schema: an invitation to the Meiers’ new era. Inspired by a trip to the rambling country gardens of Great Dixter in East Sussex, Sarah Burton’s new collection for Alexander McQueen was brimming with blooms. 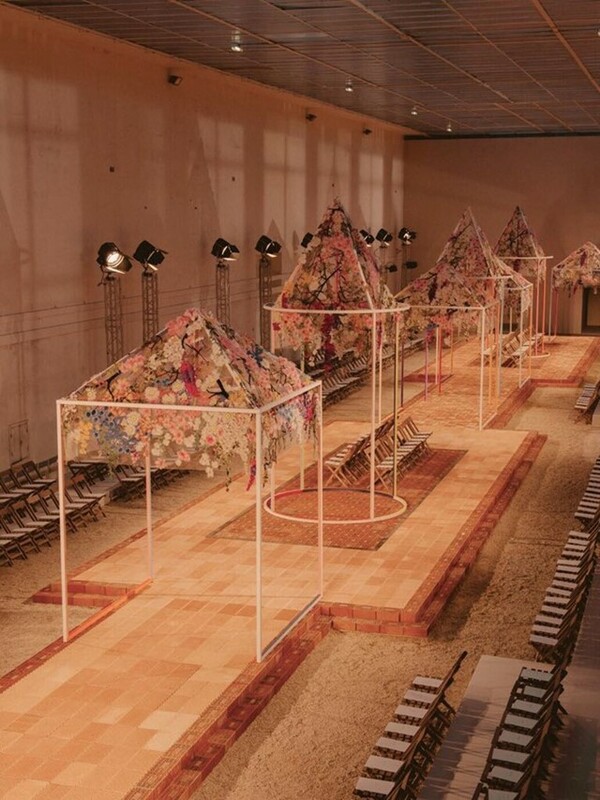 Inverting the set’s location – l’Orangerie at Jardin du Luxembourg, Paris – Burton’s team turned the outside in, dotting the runway with tulle pagodas and canopies, each dripping with hand-embroidered flora, overgrown with stitched trailing plants and burgeoning blooms. The clothes naturally followed suit – frothy gowns exploded with blossoms while waxed jackets and gardener’s jeans fed through too. This hand-made paradise was a perfect emblem for the fantastical confections realised by Burton’s own hand. 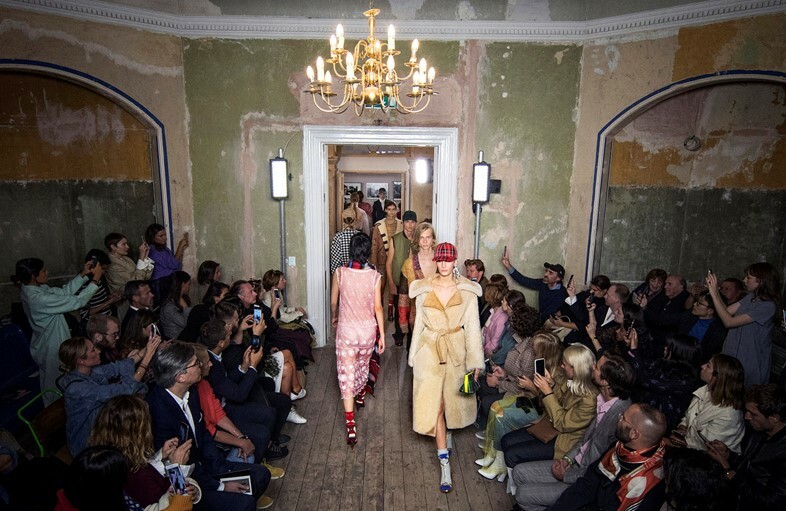 Moving away from Burberry Makers’ House this season, Christopher Bailey showed his see-now-buy-now September 2017 collection at a former east London court, Old Sessions House in Clerkenwell. A contrast between the building’s peeling, stripped-back walls and its stately dimensions, grand staircase and lavish chandeliers made for a perfect metaphor for Bailey’s grandeur-meets-grit angle this season. Not only a backdrop to his Burberry check-clad gang, complete with baseball caps and PVC jackets, Old Sessions House played host to Here We Are, an exhibition curated by both Bailey and Claire de Rouen books director Lucy Kamara Moore. Compiling the works of more than 30 documentary photographers of the 20th century, the show combined with the collection to paint a portrait of Britishness that encompassed both history and contemporaneity. 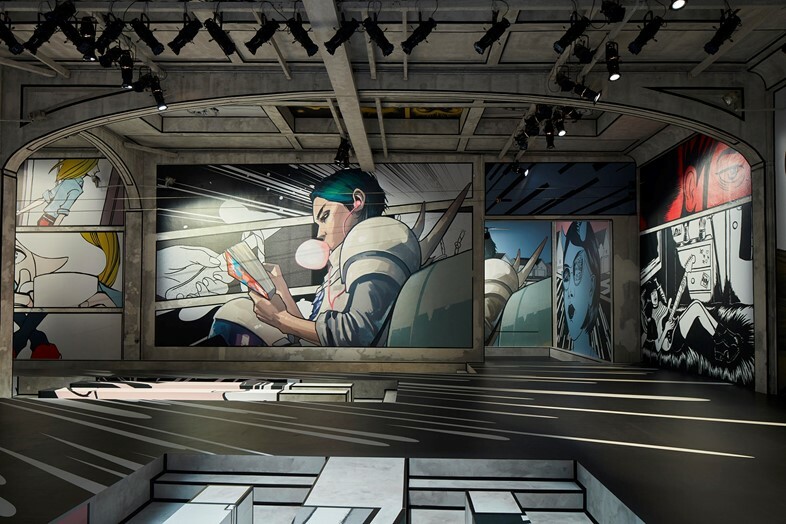 A signature setting for Miuccia Prada’s mainline collection, Prada HQ on the Via Fogazzaro played host to the designer’s latest fashion/art foray. This season, the showspace was designed by 2x4 New York City and the chosen decor may still be seared into showgoers memories. The walls of this stark concrete cavern were emblazoned with the powerful works of eight notable female graphic artists, seven of which are working today – Brigid Elva, Joëlle Jones, Stellar Leuna, Giuliana Maldini, Natsume Ono, Emma Ríos, Trina Robbins and Fiona Staples – while the archive of Tarpé Mills, one of the comic world’s first female authors, was raided too. Pop Art at first glance, the effect was a larger-than-life showcase of a troupe of contemporary female artists that inspire Mrs Prada today, and, aligned with the graphic prints on coats and shirts, studded nods to punk and a diverse mish-mash of mannish and girlish silhouettes, the formidable designer crafted a nuanced new look, fresh and fit for the modern woman. 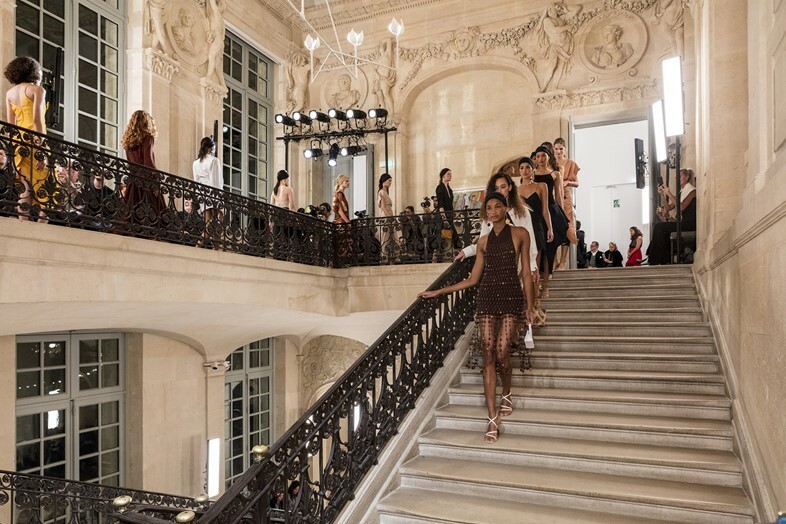 Musée Picasso: this Parisian landmark has never been used for a fashion show before – quite the feat on the tried and tested fashion week circuit. Drenched in Provençal sun, Simon Porte Jacquemus’ Spring/Summer 2018 collection was light-dappled and dreamy, all taupes, terracottas and gold; his trademark sun hats were out in full-force, this time larger than ever. Smaller details nodded to the setting: cuboid earrings and mismatched shoes with wooden spheres or blocks for heels, and Jacquemus’ usual sculptural modes were reflected in the setting, offset by his fluid drapery.